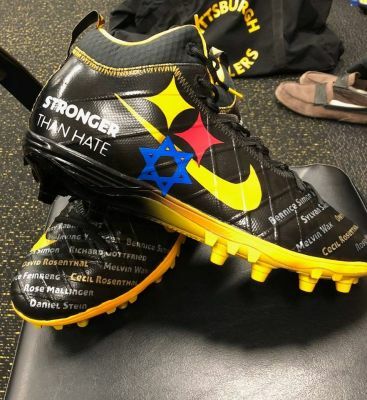 For tonight’s game: In honor and remembrance of the victims of the shooting at Tree of Life Synagogue. We will never forget! Love is Stronger Than Hate! — Ben.